You might have heard of the holiday, but do you really know what Chinese New Year is? For those who are unfamiliar with it, Chinese New Year or “Spring Festival” (春節) is a Chinese Festival that marks the turn of a new year in the Chinese lunar-solar calendar. The holiday is known to be a day full of noise and celebration as to ward of ill-fortune and to welcome good luck. People around the world, whether Chinese or not, join in the merriment that the holiday brings and celebrate the culture and excitement of the festival. And with this year’s Chinese New Year celebration coming up, Ateneo Celadon is sure to have a treat for you. In the past year, our organization has ushered in the Chinese New Year by having food – noodles, meats, and other Chinese delicacies – arrayed left and right to placate hundreds of hungry Ateneans. 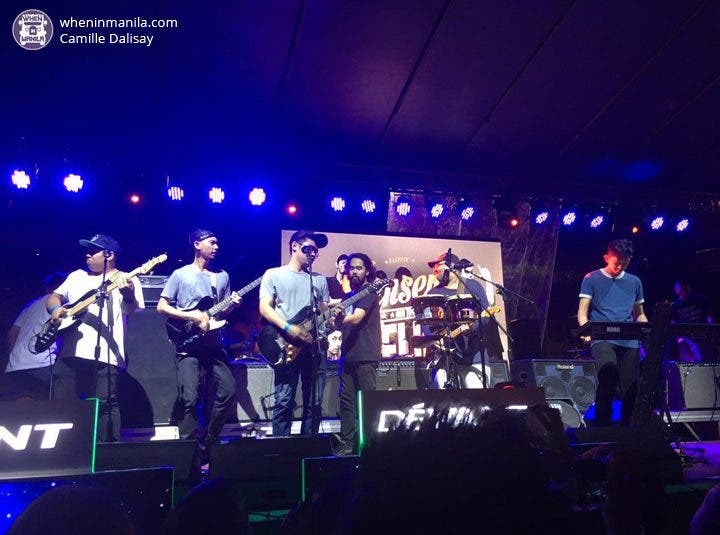 Following this successful event, Ateneo Celadon plans to meet the same level of enjoyment but with a different approach – an inter-college band competition called the Mandarin Pop (Mandopop) Band Festival. The earliest roots of Mandopop lie in the 1980s, back when Cantonese pop song industry boomed. Not long after the coining of the term “Cantopop” for this classification of music, came the translation of these songs into Mandarin for people in mainland China. With this wider audience came a rise in popularity of this new wave of music which resulted in the first set of many “Mandopop” songs that we know and love today. 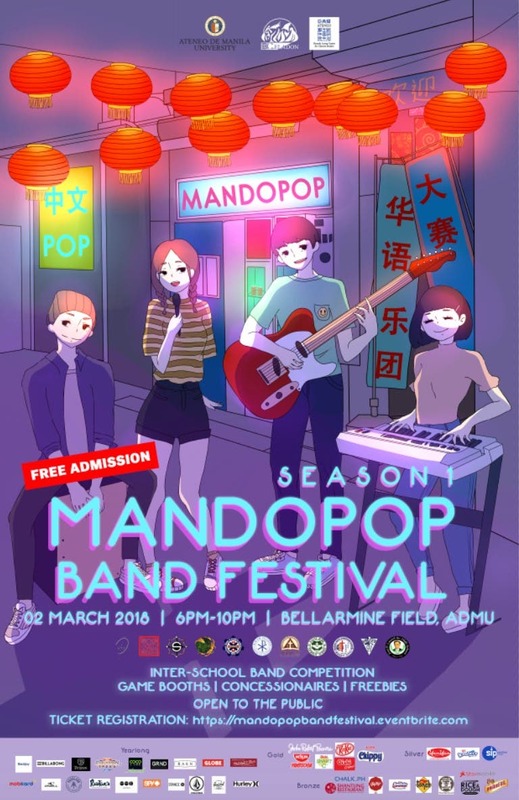 The Mandopop Band Festival hopes to capture in an event our love for Mandopop music by having bands from different colleges and universities come to our home university, the Ateneo de Manila, for an exciting battle of the bands. Expect to enjoy the beat of songs of famous Mandopop singers like JJ Lin, Jay Chou, Teresa Teng and Stefanie Sun as they are brought to life by the renditions our competitors, each hoping to take home the first place award of P25,000. Come and join us on March 2, 2018 to find out which band outplayed all the rest as we face the Chinese New Year with some music. Dance with us to the groove as the bands play their hearts to bring out the spirit of the Chinese New Year inside each one of us. Along with several concessionaires and game booth activities, MandoPop will create an atmosphere of both fun and thrill in a night time Chinatown district theme! Better yet, admission to the event is OPEN TO THE PUBLIC and FREE OF CHARGE. So what are you waiting for? Register for a ticket with your friends and family, and let’s all witness the mic drop together! The event is strictly no ID, no entry.